Ethan was a member of the Glenrothes Athletic club. He died at the scene of the accident. 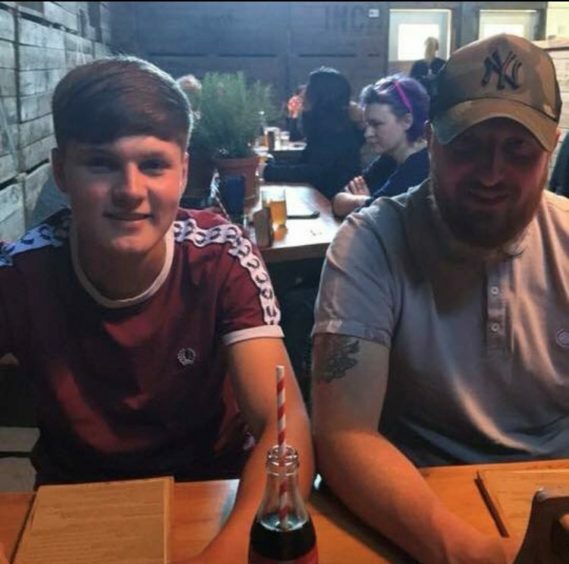 Gary King told how the kindness shown to him and his family following the death of Ethan in November has helped them through their darkest days. 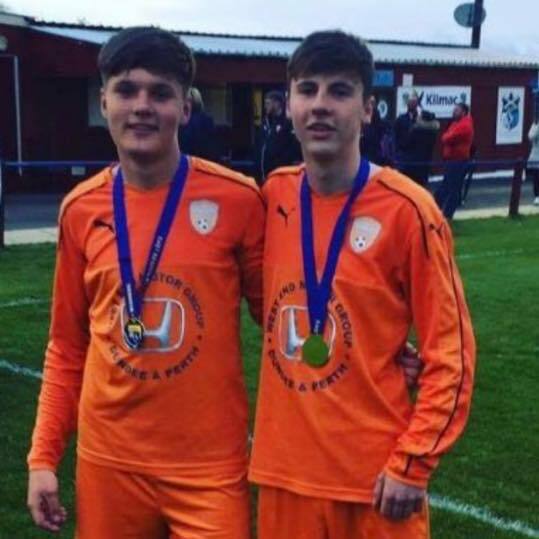 The 41-year-old also paid tribute to his “son, best friend and workmate” who was remembered last week at a charity football match in Kirkcaldy, attended by more than 1000 people. 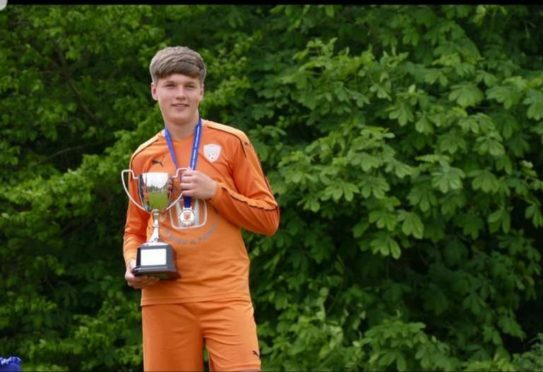 Ethan, 17, tragically passed away at the scene following a one car crash on the A915 on November 11. His best friend, Connor Aird, 17, was left seriously injured and lost his fight for life five days later. Fellow passenger Danny Stevens, 18, was also badly hurt but is recovering well and managed to score a goal at the match held for his friends at Stark’s Park. Gary said: “The football match was great. I can’t thank enough the four boys, Marco, Kodie, Jake and Evan for everything they did and everybody who had an input in helping them. “It was completely overwhelming. The support from the local community has just been amazing the last few months. “It’s just a pity it’s something as bad as this that’s had to bring everyone together. Having this support makes things a lot easier. “People’s generosity and even being willing to get up the road in time just to give something back is unreal. Gary worked at Jewson builder’s merchants in Kirkcaldy as a transport manager, while Ethan was a customer service adviser with the firm. Paying tribute to both boys, Gary said: “Ethan was a bit of a joker. He was always laughing and smiling. “In all the time I was with him, I’d never really seen him down or angry. He’s a very likeable boy who would just get on with anyone really. Loads of people loved him. “Connor was much the same. They’re two very similar boys who just liked to have a good time and be happy. “Ethan, Connor and Danny were inseparable since about the age of 10 or 11. They were together every weekend. “Ethan worked beside me as well so it’s not just a son I’ve lost, it’s a best friend and a work mate as well. “Connor was much the same. He was in and out the work everyday. I was really close to both of them. He added: “The family are just taking it each day at a time. We have good days and bad days. “It’s not something you’re ever going to get fully over but it’s just a case of finding things that make it easier for you to cope. “You’ve just got to try and focus and remember the good times and memories and just hold onto them. “I just really want to thank everyone. I can’t thank enough for the support they’ve shown all the families affected. “It makes you proud to see how loved they were, how many people were willing to give up time, especially at the memorial game. 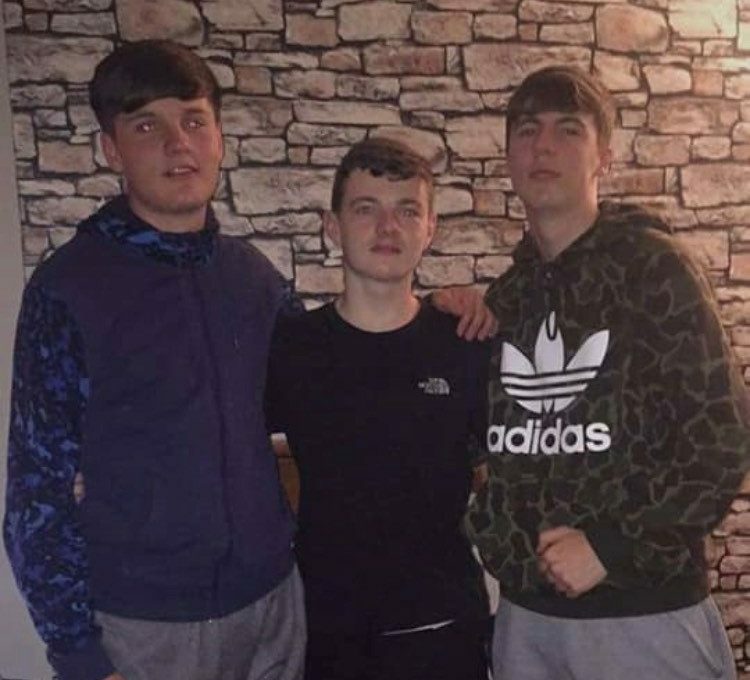 Friends Ethan King, Danny Stevens and Connor Aird. The 17-year-old driver of the car was also injured and was taken to hospital. He was arrested on suspicion of drink-driving. No one has yet been formally charged in connection with the crash.